What happens when a passive lead expressing interest completely disappears? Say you completed a sourcing session and contacted the perfect profile. Within a day they’ve contacted you back expressing interest and maybe now, they’ve stopped responding to InMails or emails, and you don’t know what do to about it. Surprisingly enough, this has been happening a lot to me. There’s a number of different factors: the competitive job market, applicants are not used to working with recruiters, or they are plain busy. 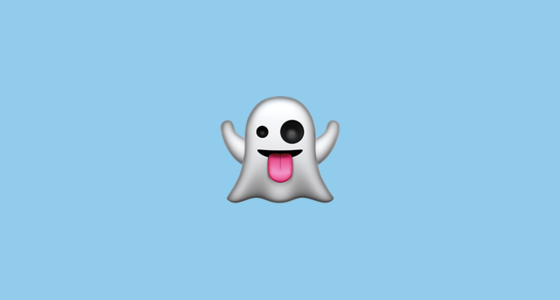 A lot of recruiters have been talking about candidates completely ghosting interviews (where they commit to coming in and don’t show up for the interview date). I wanted to talk about the topic of keeping passive leads warm. Bringing them back to life after they’ve disappeared from your process. Commit to the four contact rule. I recommended contacting someone four different ways from the first week. Either, it’s through InMail, email, text, or call. Maybe they are active on social media or more open to text messaging. I would ask them how they would like to stay updated or try a combination. Sometimes applicants might be scared to consider a new role. Use the right wording to try and meet where the applicants are in life. Be more open to talking about there career goals and if this opportunity would fit where they want to go. You push off the initial comp expectations and say that you can bring that up during the next call. Try and make the first call more about an agreement to help them consider a new opportunity. After that call, have them commit to going through the next steps in your process. (Tip: I recommend using a scheduling app to confirm the meeting time. Calendly does a great job of re-confirming the meeting details over email). Be truthful and give them honest advice. You can say something like: it was great speaking with you, please review the job description if this is something that you would like to proceed further please let me know by (date). Please let me know either way even if it’s a no you will not hurt my feelings. If they are on the fence, have them evaluate the position and write down the pros and cons. You want to make sure this role will be a good fit for you as well as for them. Maybe your employer branding team has content that you can share with them? Try highlighting essential details during the initial email or call that might get overlooked. For example, we have a great training program here, or we allow dogs to come into the office. Use that to highlight your companies unique culture. This will get them thinking about making a career change etc. Maybe they decide to pass on this role, but they still want to be considered for other roles. You can add them to an email newsletter and send out a monthly email that highlights all your new opportunities. You can keep these leads warm, and this will allow you to build out your niche networks. Maybe it’s not the right time for the candidate to make a move? Commit to following up with them in two to three months to just check in again. If you’ve tried all these tricks and nothing seems to work. Don’t become the spamming recruiter! At a certain, point you need to give it a rest. I’ve had candidates thank me for not over-communicating with them. There’s a real give and take to the communication process. There’s a sub on Reddit (recruitinghell) that talks about just how much some people get spammed. If at all through the communication process they seem negative or annoyed. Maybe they won’t be a good match for your company anyways. You need to recognize the signs before you even have them commit to coming into for an interview. Sometimes recruiters ignore these signs, and maybe that’s why we’re seeing candidates ghost during interviews. Hopefully, these tips and will help you keep a passive lead warm. Do you have any other examples that I missed? Please share them in the comment section below. Jonathan Kidder is definitely a super fan of SourceCon! He has 7 years of recruiting experience and has worked with startups and small businesses alike on their talent sourcing efforts. He blogs about talent sourcing trends on his own personal blog - WizardSourcer which focuses on the latest recruitment insights, extension tool reviews, recruiting startups, and interviews with industry leaders.